We are on Week 3 of our 100 Acts of Kindness Challenge and this week we are focusing on ways to be kind to community members!! 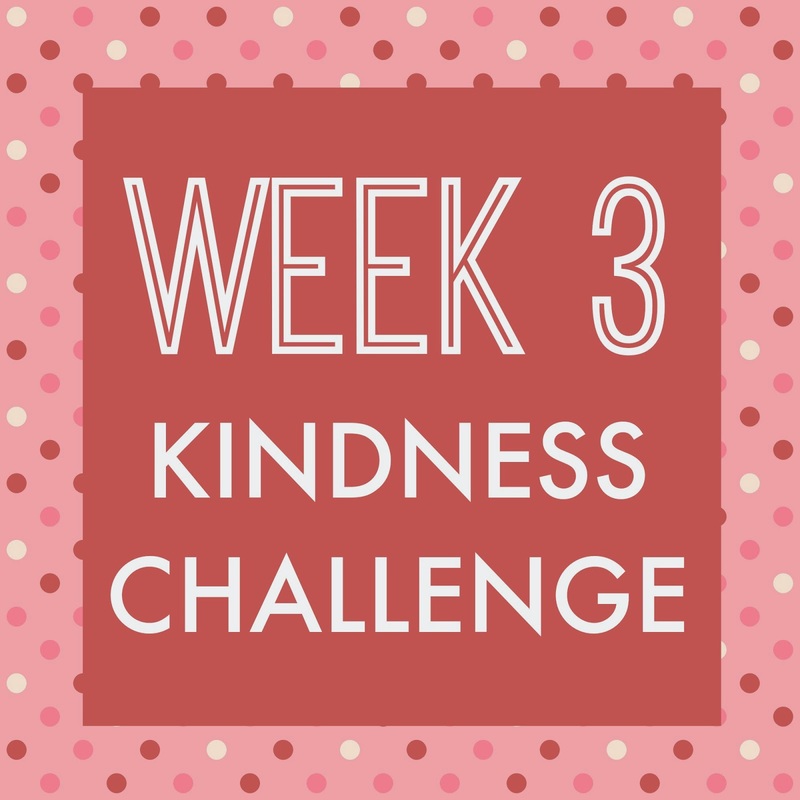 Today we are sharing our Week 3 Kindness Challenge with you that focuses on being kind to community members! Each week from January 19th to February 14th we are featuring activities to spread kindness along with a specific weekly challenge each Monday. I've been thinking a lot about WHY I love emphasizing kindness with my kids and I think one of the main reasons is because being kind is a simple character trait that will really improve the quality of their lives. People who are kind and thoughtful typically have more friends, have relationships that are deeper and more fulfilling, and people who reach out and serve others also feel that their lives have a greater purpose therefore their lives feel more fulfilled and meaningful. 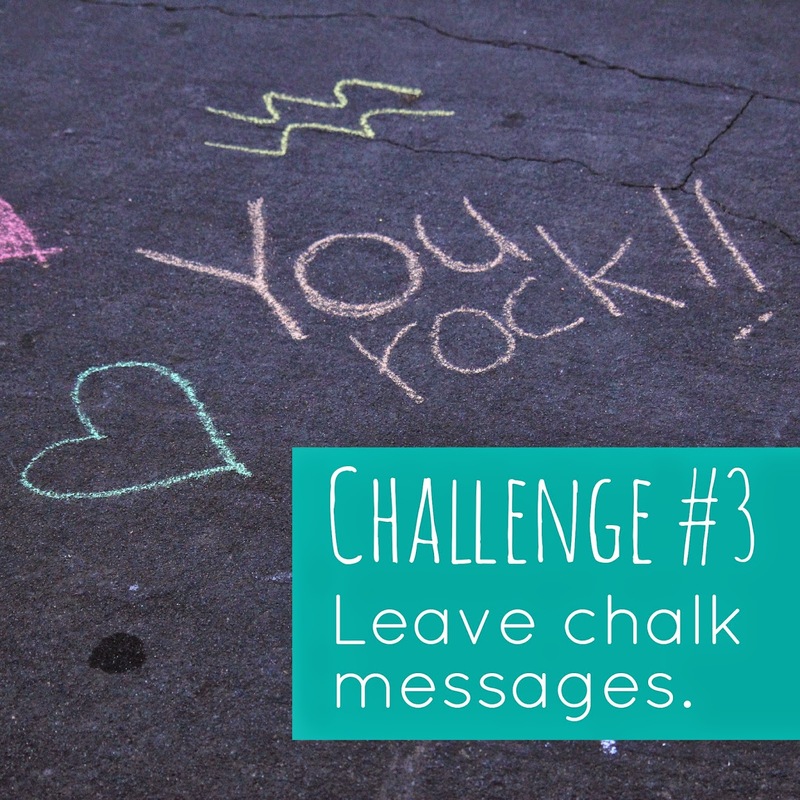 This week's challenge is to leave SECRET chalk messages for your friends or other people around your communty. 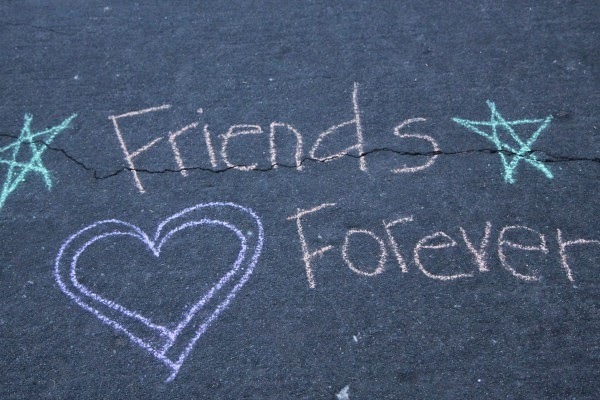 You can draw them on the driveway, on the sidewalk, on steps, in the road (with parent supervision), in front of important community buildings... or wherere you want so that people can see your special message! You can draw pictures, write simple words, or even tell people using whole sentences why you like them! I can't wait to see how this turns out! Come tag me on instagram using the hashtag #100actsofkindness if you do this so that I can see how it turns out and check out the other fun activities you are up to this week! We'll be posting additional kindness activities over on Instagram too if you want to follow along. I'm Kristina, at @kristinatoddlerapproved and Megan is @coffeeandcrayon. You can also sign up for our 100 Acts of Kindness Newsletter to get our ideas sent right to your inbox! Also, I'll be posting my #14daysofvalentines kind surprises for my kids over on Instagram so come stop by and check them out! Yesterday we shared these cute ball valentines from Craft O Maniac.